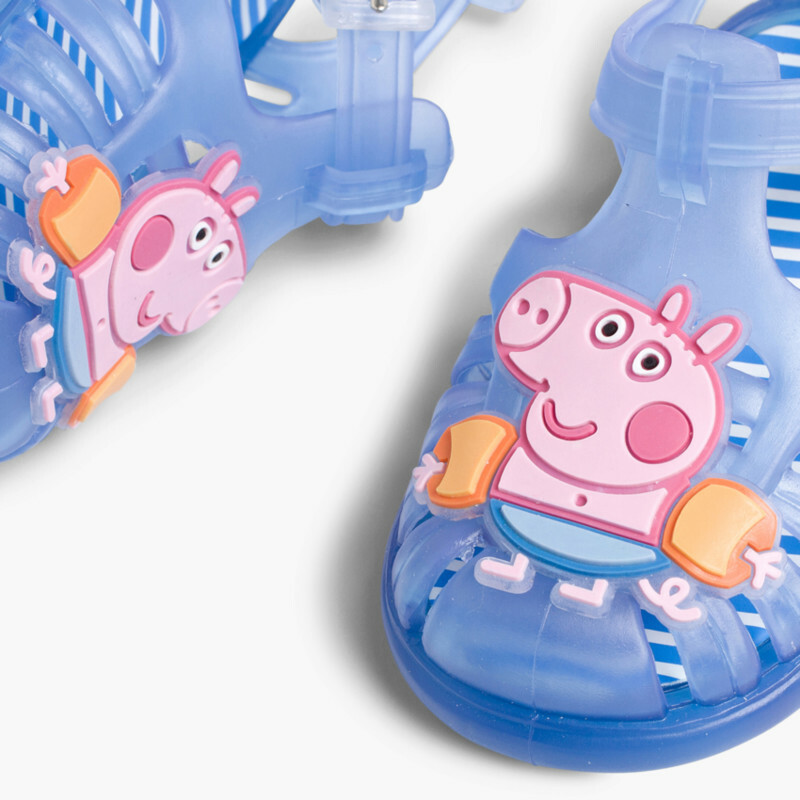 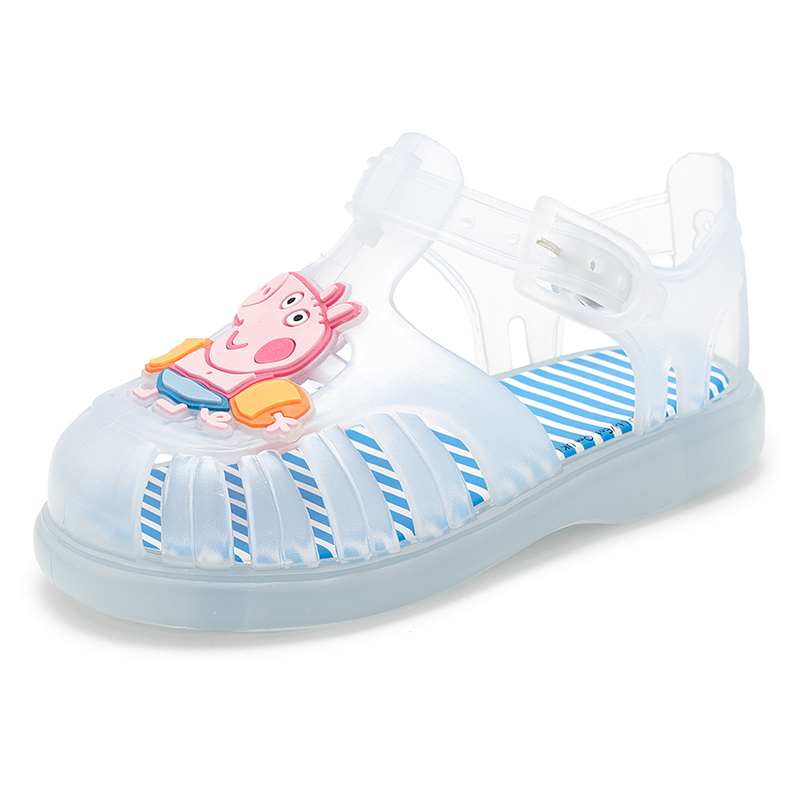 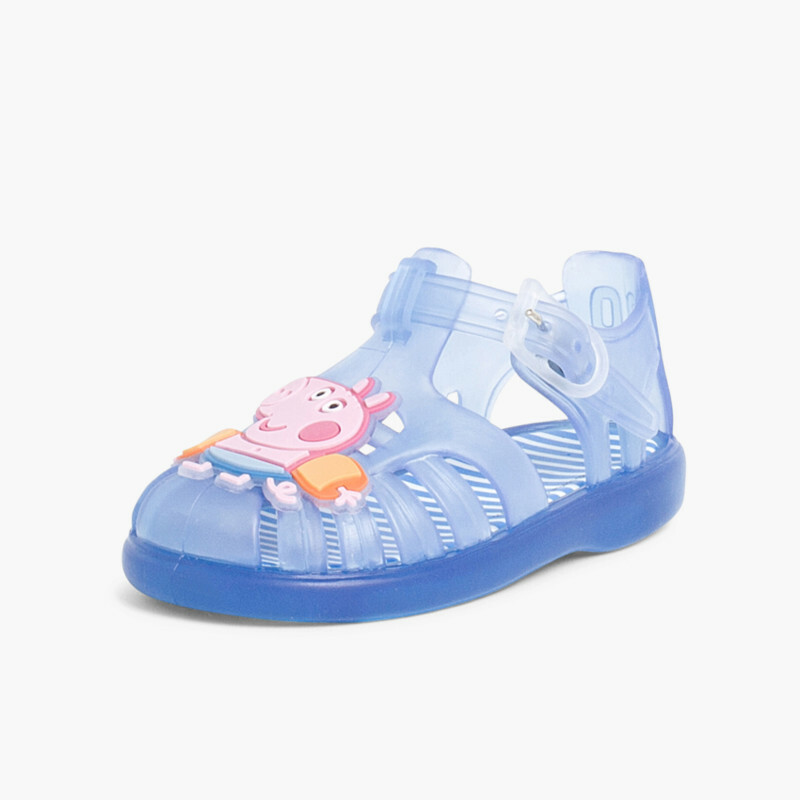 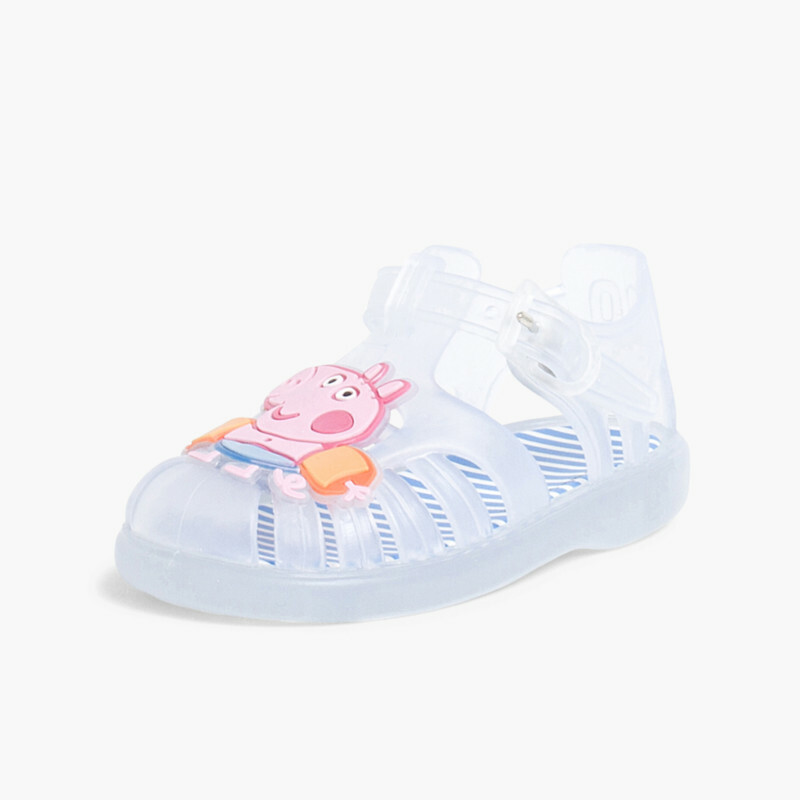 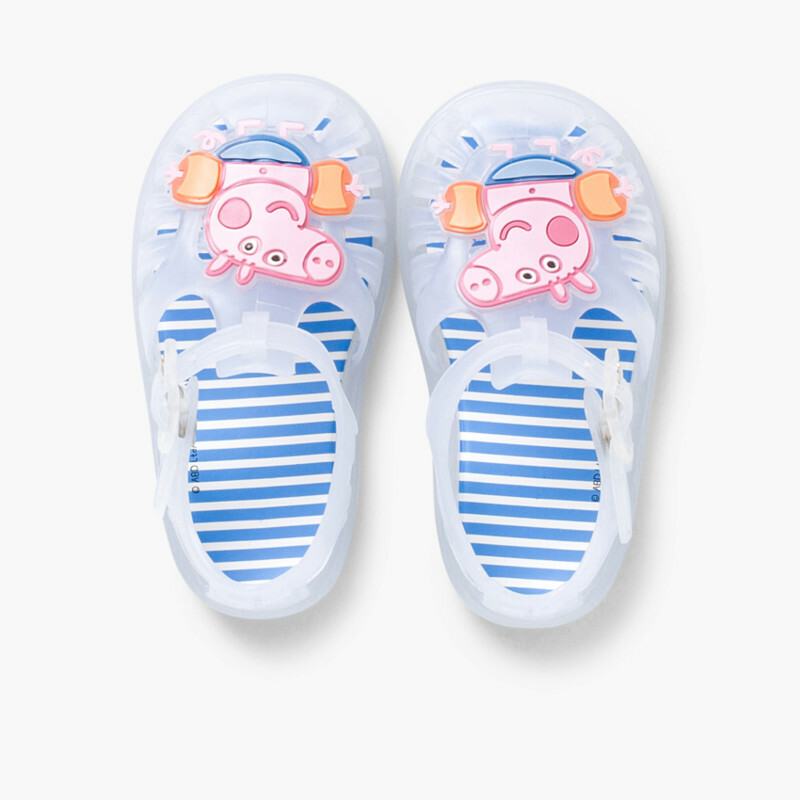 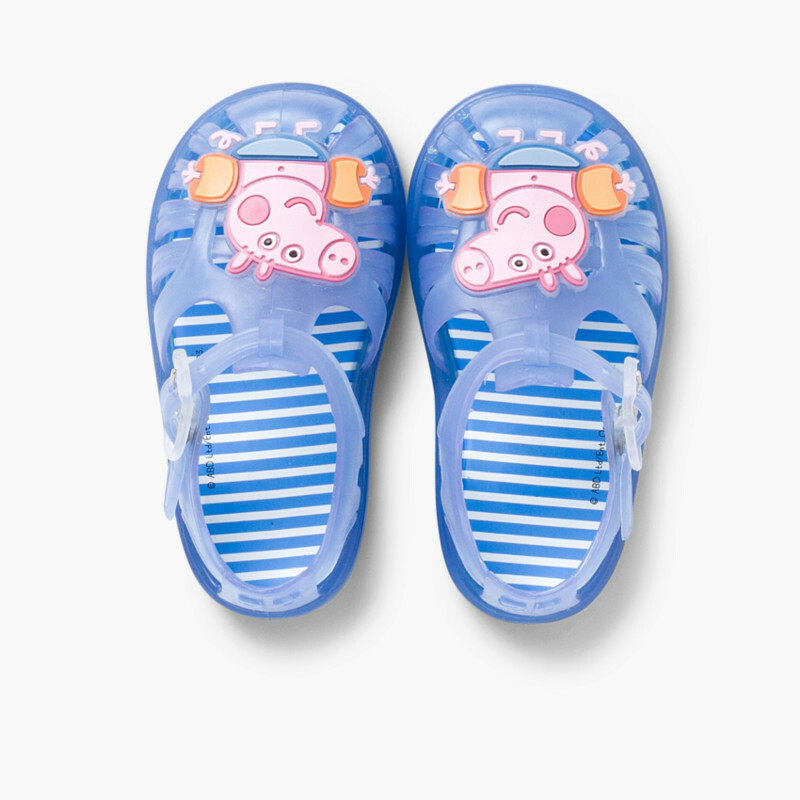 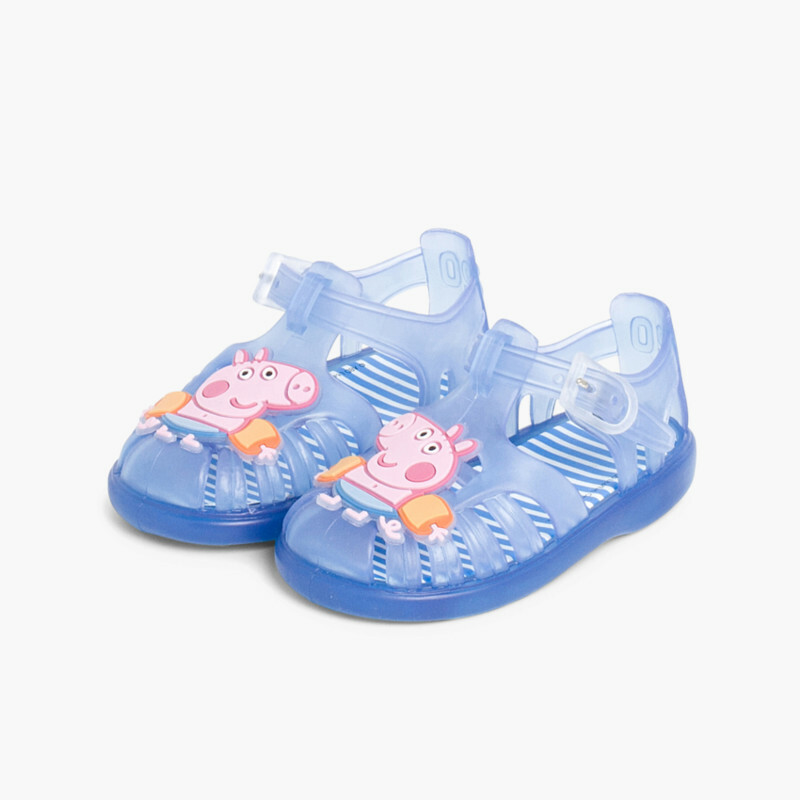 This summer give your little man a surprise with these cute George Pig Jelly Sandals. 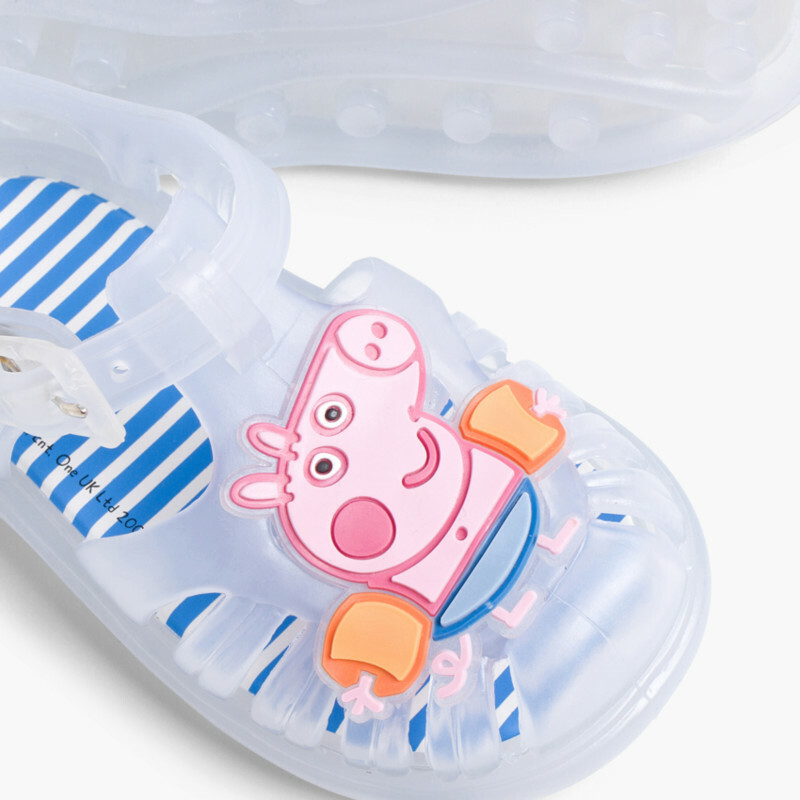 Featuring kids' favourite cartoon character. 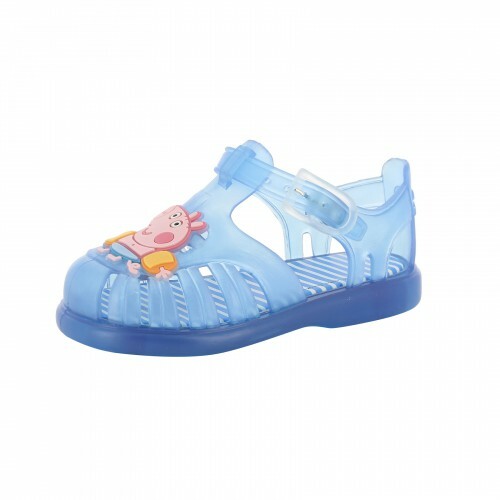 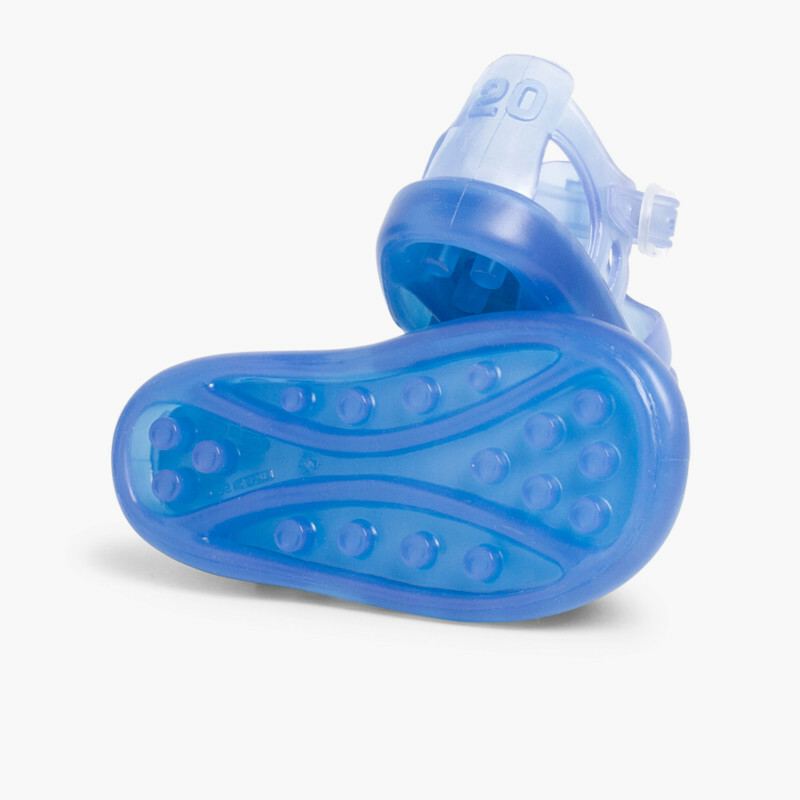 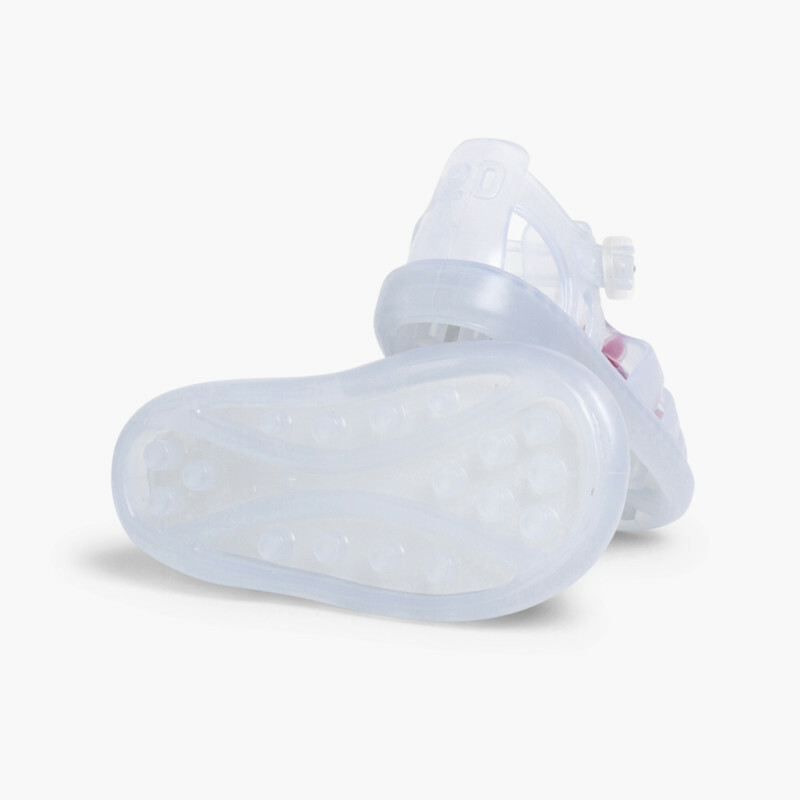 These antislip jelly sandals are made of rubber and are perfect to prevent cuts and wounds both in the pool and the beach. 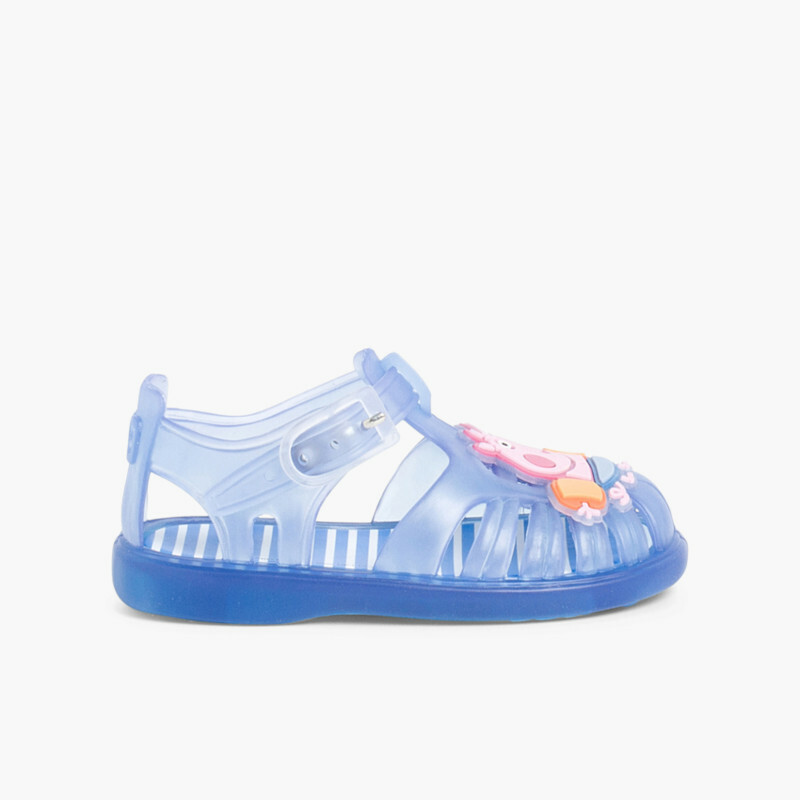 A fun and comfortable style available in blue and white that will delight your little girl this summer. 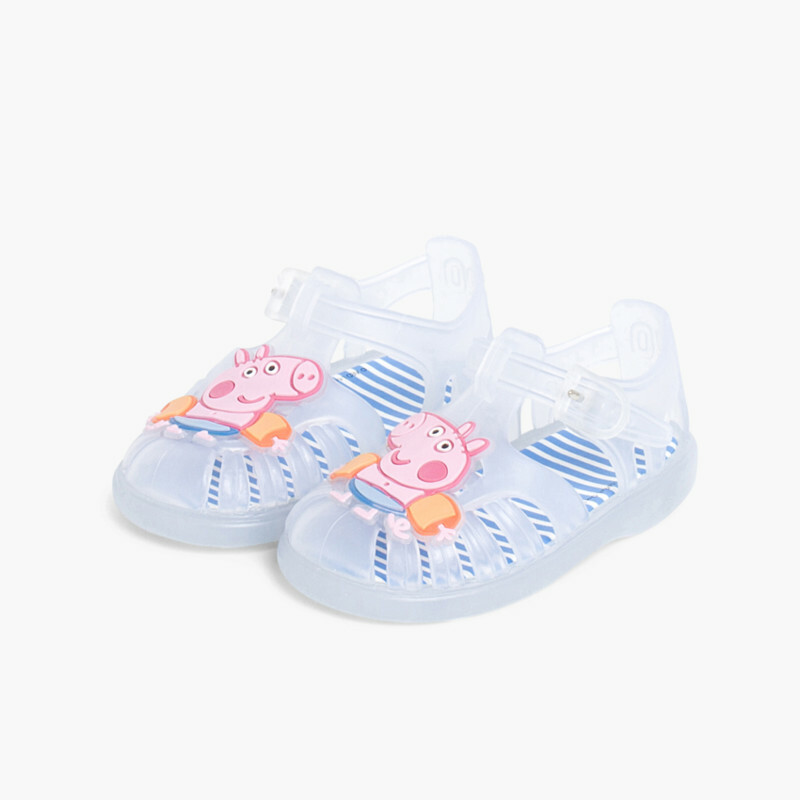 If you are interested in this style but for a girl, we recommend you to take a look at these Peppa Pig Jelly shoes in wthite and pink. 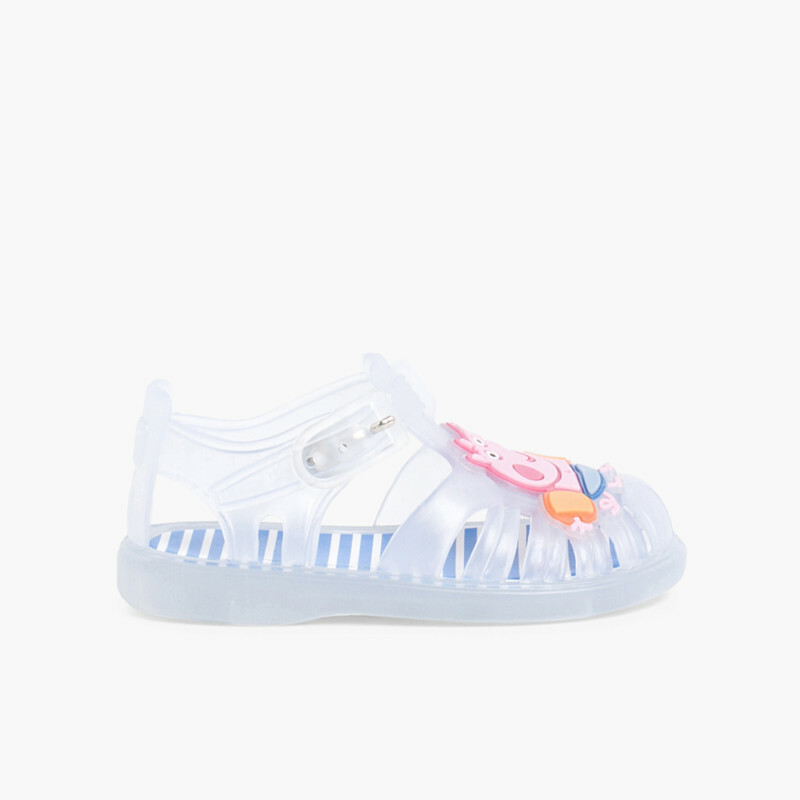 Your little girl will love them! 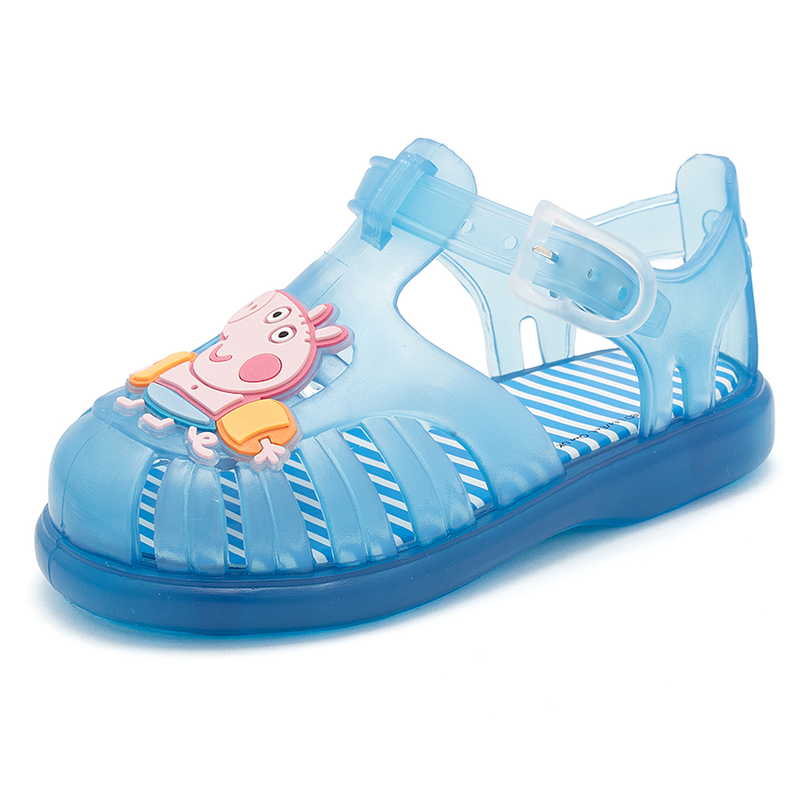 Discover Pisamonas new Spring-Summer Collection.